Henry Burke, the Earl of Morestowe, feels the weight of growing financial burdens. Despite misgivings about Cara’s mysterious background, Henry sees she’s a positive influence on his brother Langham and on Henry’s young ward, and he strikes a deal with her to return with them to their estate. But the family has their own secrets, and when all the secrets come to light, Langham, Henry and Cara all have choices to make. I almost never read a third book in a series without reading the preceding books, but this book caught my interest so I decided to give it a try. It was clear that there was a fair amount of backstory that I was missing, but the author did try to keep me up to date so the lack of prior information wasn’t confusing. And I’m curious enough now that I’ll probably go back and read the other books. Oddly enough, the character that I connected to the most was the earl’s brother; the migraine afflicted, substance abusing artist. I think it is the mark of a good writer that all the characters in the book are well developed and that you can really see inside the lives of more than just the main character. That said, Cara’s impulsive idealism made for an interesting story. There were clear indicators that the character’s had more than a passing relationship with God, even though some of their understandings were off at times. In fact, those struggles with false beliefs are what makes the characters so very human. The writing felt light and easy to read, even when the subject matter was serious. All in all, I am glad that I read this novel and I’ll look forward to reading more by Jennifer Delamere. Jac Twethewey is determined to revive Penwythe Hall’s once-flourishing apple orchards, and he’ll stop at nothing to see his struggling estate profitable again. He hasn’t heard from his brother in years, so when his nieces, nephews, and their governess arrive unannounced, he battles both grief at his brother’s death and bewilderment over this sudden responsibility. 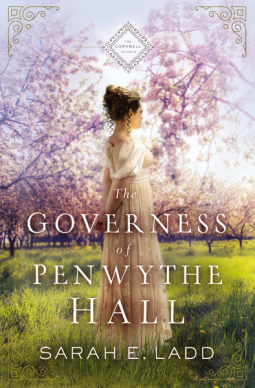 Jac’s priorities shift as the children take up residence in the ancient halls, but their secretive governess, and the mystery shrouding her past, proves to be a disruption to his carefully laid plans. 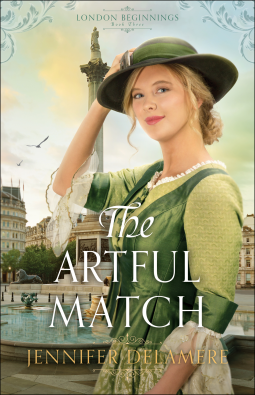 Sarah Ladd is a captivating writer who excels at telling stories of intrigue and romance. I enjoyed the setting of Cornwall and another look at free-trading apart from what I’d seen on Poldark. I found the book entertaining and engaging. The only other thing I’d mention is that Sarah Ladd writes clean stories with a pinch of faith, rather than stories where the characters exhibit a vibrant relationship with Jesus. So if you are looking for a well written tale, this is your book. 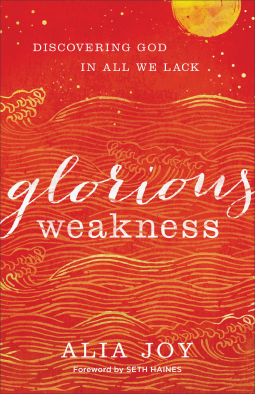 If you are looking for a story that is particularly Kingdom oriented this one won’t fit the bill. I received a free digital galley in exchange for my honest opinion. 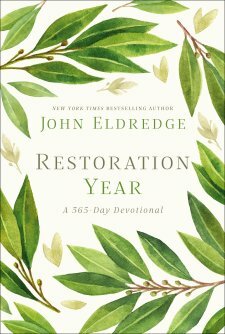 Since Eugene Peterson first wrote this spiritual formation classic nearly forty years ago, hundreds of thousands of Christians have been inspired by its call to deeper discipleship. As a society, we are still obsessed with the immediate; new technologies have only intensified our quest for the quick fix. But Peterson’s time-tested prescription for discipleship remains the same?a long obedience in the same direction. Following Jesus in this way requires a deepening life of prayer, and throughout history Christians have learned to pray from the Psalms. Peterson finds encouragement for today’s pilgrims in the Songs of Ascents (Psalms 120-134), sung by travelers on their way to worship in Jerusalem. With his prophetic and pastoral wisdom, Peterson shows how the psalms teach us to grow in worship, service, joy, work, happiness, humility, community, and blessing. 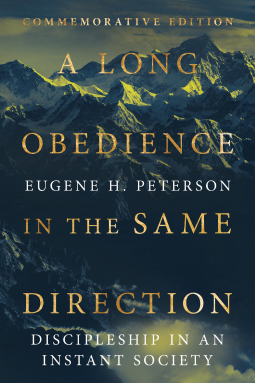 This special commemorative edition of A Long Obedience in the Same Direction includes a new preface taken from Leif Peterson’s eulogy at his father’s memorial service. This book wasn’t actually what I expected based on the title. Nor was it the particular style of writing that I have come to associate with Eugene Peterson, though I suspect that comes from the fact that this is a much older work than the ones I have been reading. I can recommend the book. It is worth reading. I found that there were particular passages that stayed with me long after I read them. In fact, the title alone has had impact on my life, even long before I cracked the cover. But it won?’t be added to my list of Peterson favorites. Maybe it will become a favorite of yours? When Mulan takes her father’s place in battle against the besieging Teutonic Knights, she realizes she has been preparing for this journey her whole life,and that her life, and her mother’s, depends on her success. As the adopted daughter of poor parents, Mulan has little power in the world. If she can’t prove herself on the battlefield, she could face death, or, perhaps worse, marriage to the village butcher. Disguised as a young man, Mulan meets the German duke’s son, Wolfgang, who is determined to save his people even if it means fighting against his own brother. Wolfgang is exasperated by the new soldier who seems to be one step away from disaster at all times or showing him up in embarrassing ways. I find Melanie Dickerson a bit hit or miss for me. Some of her books I’ve loved. Some of her books are enjoyable, but forgettable. I think for me this falls into the second category. 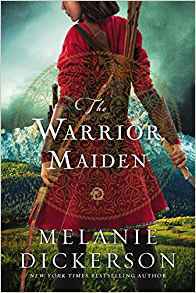 I found The Warrior Maiden to be an easy and agreeable read, but it’s not a book that will stick with me in the long run. I’m not sure that I found the characters or the story altogether believable, but it was a nice enough way to idle away a Sunday afternoon. The Enneagram opens a remarkable window into the truth about us, enabling us to see how image, wounds, lies, triggers, and default responses shape us every bit as much as our faith. But simply diagnosing our number doesn’t do justice to who we are. Nor does it necessarily change us or our relationships. Transformation happens as we grow in awareness and learn how to engage and reflect God’s image. And relational repair then results as we apply Enneagram insights to the rhythms and grooves of our ordinary daily lives. For those who have learned about the Enneagram and wonder “What’s next?” this handbook is the answer. 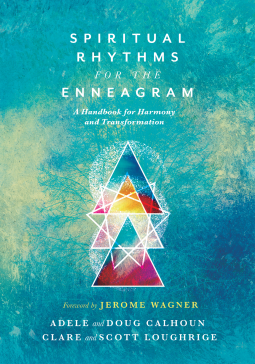 Filled with exercises to engage, challenge, encourage, and sustain, Spiritual Rhythms for the Enneagram will help us grow in greater awareness and lead us to spiritual and relational transformation. Including new insight on the Enneagram and the Harmony Triads, and offering helpful “Soul Resources” in the appendix, this handbook can be used by individuals or groups. I’m looking forward to reading this book. I was sent an unedited, review copy and in this instance I found the unedited version too difficult to read so I decided to set the book aside and wait to keep reading until I can purchase a copy, which is today (release day). But this is something I’ll share from the brief section of the review document that I did read. I’m paraphrasing as the version I have is not the final text. This is not an introductory text to the Enneagram. It is for individuals who want to grow, transform and bring health to their loving and life. This book is recommended for spiritual directors, healthcare professionals, coaches and pastors seeking to help their clients integrate and grow in awareness, healing and love of God, others and self through practices, questions and exercises. This book is for those seeking to bring God’s presence and empathy to disharmonious people and systems. If you have never before engaged with the Enneagram then this book will not be for you. If you are exploring this topic for the first time I’d recommend you start with Ian Cron’s The Road Back To You and then follow up with Suzanne Stabile’s The Path Between Us. The Great Rebellion of 1857 was a remarkably bloody business. At a time when Britain’s imperial influence in India was sparking brutal clashes on both sides, no one could have expected Rena, an Indian woman, to marry a British officer nor do they understand her decision to follow her mother-in-law to England after her husband’s tragic death. 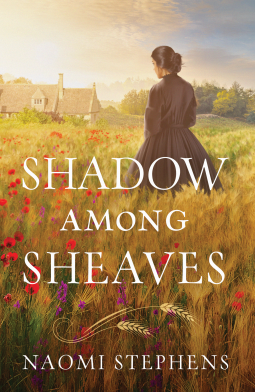 I really enjoyed Shadow Among Sheaves. The re-setting of the story of Boaz and Ruth into England with an Indian widow was thought provoking. The characters were well developed and the writing was vivid. Over all I found the story engaging and would recommend it. I really like this devotional. I find it thought provoking. I especially like how one day might approach one aspect of an idea or issue and the next day might approach the same idea from another angle. These are short readings. There is a verse in the heading, but it may be a loose connection to the idea rather than being foundational to what is being discussed. There is a question for prayerful reflection at the end of each section. I’ll say again, I do like these readings, but I should also say they are in no way a substitute for Bible study. They are more supplemental readings to challenge you in the ways that you think, live and relate to the Lord. And it is for that purpose that I recommend this book. I received a free copy of this book in exchange for my honest opinion. Return to Devotion is a compelling story of love, forgiveness and learning to live under a mantle of grace. 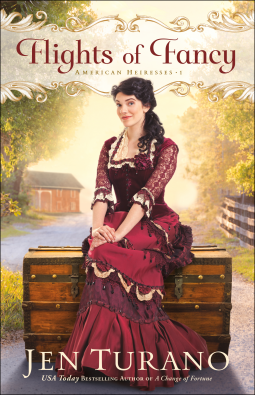 Following a novella (A Search for Refuge) and the first book in the series (A Defense of Honor), Hunter continues to invite us in to the world of Haven Manor and her inhabitants. The story of Daphne was compelling. 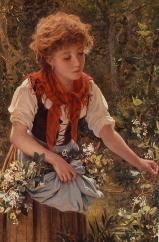 Though Daphne’s character seemed so self-protected from the reality of the world, we are invited to join her on her journey from allowing her imagination to deceive her to the place of allowing her imagination to be visionary, grounded in love and truth. The prospect of finding grace and living in it, the reality that forgiveness is a new foundation for life and the truth that love pursues are all aspects of this sweet romance. William is also key in this story as he wrestles with what it looks like to truly consider people apart from their station and what family honor truly means. I enjoyed the development of his character. 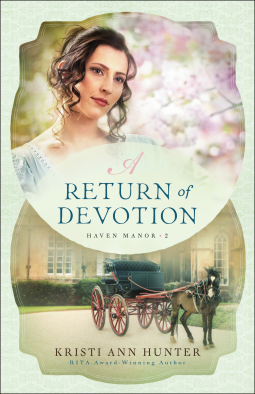 All in all A Return to Devotion was a sweet and uplifting continuation of this series.